Butte's Mile High Kia Used Vehicles are hand picked for our lot. We look for the best used cars and used trucks at low prices just for you! If you don’t see the specific vehicle you need give us a call and we will track it down for you today! LX trim. Premium Sound System, Aluminum Wheels, Edmunds.com's review says Exhibits solid build quality.. 5 Star Driver Front Crash Rating. READ MORE! VISIT US TODAY At Mile High Motors we strive to achieve one goal, 100% customer satisfaction. We accomplish this by providing quality motor vehicles at affordable prices while making sure our customers are never left unsatisfied. At Mile High Motors we have a great staff that will be able to assist you with all of your car buying needs, whether it is locating the right vehicle, obtaining financing, or anything in-between. KEY FEATURES INCLUDE Premium Sound System, Aluminum Wheels MP3 Player, Keyless Entry, Privacy Glass, Child Safety Locks, Heated Mirrors. VEHICLE REVIEWS 5 Star Driver Front Crash Rating. 5 Star Driver Side Crash Rating. Pricing analysis performed on 4/18/2019. Please confirm the accuracy of the included equipment by calling us prior to purchase. ONLY 11,284 Miles! FUEL EFFICIENT 37 MPG Hwy/28 MPG City! S trim, BLUE exterior and BLACK interior. iPod/MP3 Input, Bluetooth, Back-Up Camera, Satellite Radio. AND MORE! VISIT US TODAY At Mile High Motors we strive to achieve one goal, 100% customer satisfaction. We accomplish this by providing quality motor vehicles at affordable prices while making sure our customers are never left unsatisfied. At Mile High Motors we have a great staff that will be able to assist you with all of your car buying needs, whether it is locating the right vehicle, obtaining financing, or anything in-between. KEY FEATURES INCLUDE Back-Up Camera, Satellite Radio, iPod/MP3 Input, Bluetooth. MP3 Player, Remote Trunk Release, Keyless Entry, Child Safety Locks, Steering Wheel Controls. Kia S with BLUE exterior and BLACK interior features a 4 Cylinder Engine with 130 HP at 6300 RPM*. A GREAT TIME TO BUY This Rio is priced $1,600 below Kelley Blue Book. Pricing analysis performed on 4/18/2019. Horsepower calculations based on trim engine configuration. Fuel economy calculations based on original manufacturer data for trim engine configuration. Please confirm the accuracy of the included equipment by calling us prior to purchase. LX V6 trim, DARK GRAY exterior and BLACK interior. FUEL EFFICIENT 25 MPG Hwy/18 MPG City! Third Row Seat, iPod/MP3 Input, Bluetooth, CD Player, Satellite Radio, Aluminum Wheels, All Wheel Drive, Back-Up Camera. CLICK NOW! OUR OFFERINGS At Mile High Motors we strive to achieve one goal, 100% customer satisfaction. We accomplish this by providing quality motor vehicles at affordable prices while making sure our customers are never left unsatisfied. At Mile High Motors we have a great staff that will be able to assist you with all of your car buying needs, whether it is locating the right vehicle, obtaining financing, or anything in-between. KEY FEATURES INCLUDE Third Row Seat, All Wheel Drive, Back-Up Camera, Satellite Radio, iPod/MP3 Input, Bluetooth, CD Player, Aluminum Wheels. Rear Spoiler, MP3 Player, Privacy Glass, Keyless Entry, Steering Wheel Controls. Kia LX V6 with DARK GRAY exterior and BLACK interior features a V6 Cylinder Engine with 290 HP at 6400 RPM*. Pricing analysis performed on 11/18/2018. Horsepower calculations based on trim engine configuration. Fuel economy calculations based on original manufacturer data for trim engine configuration. Please confirm the accuracy of the included equipment by calling us prior to purchase. GREAT MILES 35,599! EPA 31 MPG Hwy/20 MPG City! Navigation, Sunroof, Heated Leather Seats, iPod/MP3 Input, Dual Zone A/C, Bluetooth, Turbo Charged, REMOTE START (PUSH BUTTON), SX TURBO PREMIUM PACKAGE, Alloy Wheels AND MORE! MORE ABOUT US At Mile High Motors we strive to achieve one goal KEY FEATURES INCLUDE Leather Seats, Turbocharged, iPod/MP3 Input, Bluetooth, Aluminum Wheels, Dual Zone A/C, Heated Leather Seats. Keyless Entry, Remote Trunk Release, Child Safety Locks, Steering Wheel Controls, Electronic Stability Control. OPTION PACKAGES SX TURBO PREMIUM PACKAGE Heated & Ventilated Front Seats, Driver Seat Memory, Radio: UVO eService, AM/FM/CD/MP3 player, SiriusXM satellite radio, USB/auxiliary input jacks and Bluetooth wireless technology w/steering wheel mounted controls, Infinity Premium Sound System, 8-speakers w/subwoofer, HD Radio, Rear Camera Display, Power Folding Outside Mirrors, Heated Rear Outboard Seats, 4-Way Power Front Passenger Seat, Panoramic Sunroof, Gloss Black B-Pillar, SX TECHNOLOGY PACKAGE Blind Spot Detection w/Cross-Traffic Alert, back-up warning system, Radio: UVO eService, AM/FM/CD/MP3 player, SiriusXM satellite radio, USB/auxiliary input jacks and Bluetooth wireless technology w/steering wheel mounted controls, Infinity Premium Sound System, 8-speakers w/subwoofer, HD Radio, Navigation System SiriusXM Traffic and SiriusXM TravelLink which provides real time info on weather, traffic and sports, Rear Camera Display, REMOTE START (PUSH BUTTON). Kia SX Turbo with BLUE exterior and BLACK interior features a 4 Cylinder Engine with 274 HP at 6000 RPM*. Horsepower calculations based on trim engine configuration. Fuel economy calculations based on original manufacturer data for trim engine configuration. Please confirm the accuracy of the included equipment by calling us prior to purchase. EX trim. FUEL EFFICIENT 25 MPG Hwy/21 MPG City! Navigation, Sunroof, Heated Leather Seats, Back-Up Camera, Keyless Start, Dual Zone A/C, EX TECHNOLOGY PACKAGE, EX PREMIUM PACKAGE, All Wheel Drive, Alloy Wheels. READ MORE! BUY FROM AN AWARD WINNING DEALER At Mile High Motors we strive to achieve one goal, 100% customer satisfaction. We accomplish this by providing quality motor vehicles at affordable prices while making sure our customers are never left unsatisfied. At Mile High Motors we have a great staff that will be able to assist you with all of your car buying needs, whether it is locating the right vehicle KEY FEATURES INCLUDE Leather Seats, All Wheel Drive, Back-Up Camera, Aluminum Wheels, Keyless Start, Dual Zone A/C, Heated Leather Seats Rear Spoiler, Keyless Entry, Privacy Glass, Steering Wheel Controls, Child Safety Locks. OPTION PACKAGES EX TECHNOLOGY PACKAGE Compact Spare Tire, Smart Power Tailgate, Automated Emergency Braking, pedestrian detection, Front & Rear Park Assist, 8-Way Power Passenger Seat w/2-Way Power Lumbar, Lane Departure Warning, Ventilated Front Seats, Radio: AM/FM/SiriusXM w/Navigation, 8 touchscreen, UVO eServices & telematics, Android Auto, harman/kardon 320W ClariFi sound system, 8 speakers w/subwoofer, USB/auxiliary input jacks and Bluetooth phone and streaming audio w/voice recognition, EX PREMIUM PACKAGE Auto-Dimming Rear View Mirror w/HomeLink, Panoramic Sunroof, power sunshade, LED Interior Lighting, Blind Spot Detection (BSD), Rear Cross Traffic Alert (RCTA), Heated Steering Wheel, Lane Change Assist (LCA), Heated Power Folding Mirrors, LED turn signals. Kia EX with SNOW WHITE exterior and GRAY interior features a 4 Cylinder Engine with 181 HP at 6000 RPM*. Horsepower calculations based on trim engine configuration. Fuel economy calculations based on original manufacturer data for trim engine configuration. Please confirm the accuracy of the included equipment by calling us prior to purchase. FUEL EFFICIENT 26 MPG Hwy/21 MPG City! GREAT MILES 38,040! Heated Seats, 3rd Row Seat, Back-Up Camera, Satellite Radio, CD Player, iPod/MP3 Input, ELECTROCHROMATIC MIRROR W/HOMELINK AN... LX CONVENIENCE PACKAGE, Alloy Wheels CLICK NOW! VISIT US TODAY At Mile High Motors we strive to achieve one goal, 100% customer satisfaction. We accomplish this by providing quality motor vehicles at affordable prices while making sure our customers are never left unsatisfied. At Mile High Motors we have a great staff that will be able to assist you with all of your car buying needs, whether it is locating the right vehicle, obtaining financing, or anything in-between. KEY FEATURES INCLUDE All Wheel Drive, Back-Up Camera, Satellite Radio, iPod/MP3 Input, CD Player, Aluminum Wheels Rear Spoiler, MP3 Player, Privacy Glass, Keyless Entry, Child Safety Locks. OPTION PACKAGES LX 3RD ROW SEAT, LX CONVENIENCE PACKAGE Electrochromatic Rearview Mirror, UVO eServices, 10-Way Power Driver's Seat w/Power Lumbar, Rear Parking Assist System, Leather Wrapped Steering Wheel & Gear Shift Knob, Heated Front Seats, ELECTROCHROMATIC MIRROR W/HOMELINK AND COMPASS. Kia LX with SNOW WHITE exterior and BEIGE interior features a 4 Cylinder Engine with 185 HP at 6000 RPM*. Horsepower calculations based on trim engine configuration. Fuel economy calculations based on original manufacturer data for trim engine configuration. Please confirm the accuracy of the included equipment by calling us prior to purchase. LX trim. EPA 25 MPG Hwy/21 MPG City! Auxiliary Audio Input, Bluetooth Connection, CD Player, Satellite Radio, Aluminum Wheels, All Wheel Drive, Back-Up Camera. AND MORE! MORE ABOUT US At Mile High Motors we strive to achieve one goal, 100% customer satisfaction. We accomplish this by providing quality motor vehicles at affordable prices while making sure our customers are never left unsatisfied. At Mile High Motors we have a great staff that will be able to assist you with all of your car buying needs, whether it is locating the right vehicle, obtaining financing, or anything in-between. KEY FEATURES INCLUDE All Wheel Drive, Back-Up Camera, Satellite Radio, Auxiliary Audio Input, Bluetooth Connection, CD Player, Aluminum Wheels Rear Spoiler, MP3 Player, Keyless Entry, Privacy Glass, Child Safety Locks. Fuel economy calculations based on original manufacturer data for trim engine configuration. Please confirm the accuracy of the included equipment by calling us prior to purchase. FUEL EFFICIENT 26 MPG Hwy/20 MPG City! LX trim, SILVER exterior and BLACK interior. iPod/MP3 Input, Bluetooth, CD Player, Satellite Radio, REMOTE START, Aluminum Wheels, All Wheel Drive. CLICK ME! WHO WE ARE At Mile High Motors we strive to achieve one goal, 100% customer satisfaction. We accomplish this by providing quality motor vehicles at affordable prices while making sure our customers are never left unsatisfied. At Mile High Motors we have a great staff that will be able to assist you with all of your car buying needs, whether it is locating the right vehicle, obtaining financing, or anything in-between. KEY FEATURES INCLUDE All Wheel Drive, Satellite Radio, iPod/MP3 Input, Bluetooth, CD Player, Aluminum Wheels. MP3 Player, Keyless Entry, Privacy Glass, Child Safety Locks, Steering Wheel Controls. OPTION PACKAGES REMOTE START. Kia LX with SILVER exterior and BLACK interior features a 4 Cylinder Engine with 191 HP at 6300 RPM*. Horsepower calculations based on trim engine configuration. Fuel economy calculations based on original manufacturer data for trim engine configuration. Please confirm the accuracy of the included equipment by calling us prior to purchase. EPA 30 MPG Hwy/20 MPG City! GLS trim. Aluminum Wheels, CD Player, Edmunds.com's review says Still ranks highly with us thanks to its fine performance, spacious cabin and value for the dollar.. 5 Star Driver Front Crash Rating. CLICK ME! HYUNDAI SONATA: UNMATCHED DEPENDABILITY 5 Star Driver Front Crash Rating. 5 Star Driver Side Crash Rating. KEY FEATURES ON THIS HYUNDAI SONATA CD Player, Aluminum Wheels MP3 Player, Keyless Entry, Remote Trunk Release, Steering Wheel Controls, Heated Mirrors. HYUNDAI SONATA: BEST IN CLASS With a spacious interior that's larger than any of the mid-size Japanese competition, the Sonata. sedan comes wrapped in a more contemporary exterior, highlighted by a concave-domed hood, sweeping roofline and jeweled projector-style headlamps. - thecarconnection.com. Great Gas Mileage: 30 MPG Hwy. VISIT US TODAY At Mile High Motors we strive to achieve one goal, 100% customer satisfaction. We accomplish this by providing quality motor vehicles at affordable prices while making sure our customers are never left unsatisfied. At Mile High Motors we have a great staff that will be able to assist you with all of your car buying needs, whether it is locating the right vehicle, obtaining financing, or anything in-between. Pricing analysis performed on 4/18/2019. Fuel economy calculations based on original manufacturer data for trim engine configuration. Please confirm the accuracy of the included equipment by calling us prior to purchase. Lariat trim. Leather Interior, CD Player, Fourth Passenger Door, Chrome Wheels, 4x4. READ MORE! THE RIGHT TIME TO BUY THIS FORD F-150 Love your vehicle and its price. This used Ford F-150 is priced $1,200 below Kelley Blue Book KEY FEATURES ON THIS FORD F-150 INCLUDE Leather Seats, 4x4, CD Player, Chrome Wheels, Fourth Passenger Door Keyless Entry, Privacy Glass, Adjustable Pedals, Electrochromic rearview mirror. F-150 has won the Motor Trend Truck of the Year® award more times than any other truck. VISIT US TODAY At Mile High Motors we strive to achieve one goal, 100% customer satisfaction. We accomplish this by providing quality motor vehicles at affordable prices while making sure our customers are never left unsatisfied. At Mile High Motors we have a great staff that will be able to assist you with all of your car buying needs, whether it is locating the right vehicle, obtaining financing, or anything in-between. Pricing analysis performed on 4/25/2019. Please confirm the accuracy of the included equipment by calling us prior to purchase. EPA 36 MPG Hwy/23 MPG City! Limited trim, Black Clear Coat exterior. Heated Seats, Alloy Wheels, iPod/MP3 Input, Bluetooth, COMFORT GROUP, CONVENIENCE GROUP, ENGINE: 2.4L I4 PZEV M-AIR, TRANSMISSION: 9-SPEED 948TE AUTOMATIC... READ MORE! WHO WE ARE At Mile High Motors we strive to achieve one goal, 100% customer satisfaction. We accomplish this by providing quality motor vehicles at affordable prices while making sure our customers are never left unsatisfied. At Mile High Motors we have a great staff that will be able to assist you with all of your car buying needs, whether it is locating the right vehicle, obtaining financing, or anything in-between. KEY FEATURES INCLUDE iPod/MP3 Input, Bluetooth, Aluminum Wheels MP3 Player, Keyless Entry, Child Safety Locks, Steering Wheel Controls, Electronic Stability Control. OPTION PACKAGES CONVENIENCE GROUP Leather Wrapped Steering Wheel, Sun Visors w/Illuminated Vanity Mirrors, Body Color Power Heated Mirrors, Power 8-Way Driver Seat, Power 4-Way Driver Lumbar Adjust, COMFORT GROUP Heated Front Seats, Rear A/C & Heat Ducts, Air Conditioning ATC w/Dual Zone Control, Remote Start System, Humidity Sensor, ENGINE: 2.4L I4 PZEV M-AIR Engine Oil Cooler, Partial Zero Emission Vehicle (PZEV), California Emissions, TRANSMISSION: 9-SPEED 948TE AUTOMATIC (STD). VEHICLE REVIEWS AutoCheck One Owner Pricing analysis performed on 4/18/2019. Fuel economy calculations based on original manufacturer data for trim engine configuration. Please confirm the accuracy of the included equipment by calling us prior to purchase. FUEL EFFICIENT 35 MPG Hwy/28 MPG City! SE trim. Bluetooth, CD Player, Lane Keeping Assist, Alloy Wheels, Back-Up Camera, iPod/MP3 Input. CLICK NOW! WHO WE ARE At Mile High Motors we strive to achieve one goal, 100% customer satisfaction. We accomplish this by providing quality motor vehicles at affordable prices while making sure our customers are never left unsatisfied. At Mile High Motors we have a great staff that will be able to assist you with all of your car buying needs, whether it is locating the right vehicle, obtaining financing, or anything in-between. KEY FEATURES INCLUDE Back-Up Camera, iPod/MP3 Input, Bluetooth, CD Player, Aluminum Wheels, Lane Keeping Assist Rear Spoiler, MP3 Player, Keyless Entry, Remote Trunk Release, Child Safety Locks. Pricing analysis performed on 4/18/2019. Fuel economy calculations based on original manufacturer data for trim engine configuration. Please confirm the accuracy of the included equipment by calling us prior to purchase. EPA 38 MPG Hwy/25 MPG City! 2.4L Sport trim. CD Player, Onboard Communications System, Smart Device Integration, iPod/MP3 Input, Aluminum Wheels, Back-Up Camera, Satellite Radio. AND MORE! MORE ABOUT US At Mile High Motors we strive to achieve one goal, 100% customer satisfaction. We accomplish this by providing quality motor vehicles at affordable prices while making sure our customers are never left unsatisfied. At Mile High Motors we have a great staff that will be able to assist you with all of your car buying needs, whether it is locating the right vehicle, obtaining financing, or anything in-between. KEY FEATURES INCLUDE Back-Up Camera, Satellite Radio, iPod/MP3 Input, CD Player, Onboard Communications System, Aluminum Wheels, Smart Device Integration. Rear Spoiler, MP3 Player, Keyless Entry, Remote Trunk Release, Steering Wheel Controls. EXPERTS ARE SAYING AutoCheck One Owner Pricing analysis performed on 4/18/2019. Fuel economy calculations based on original manufacturer data for trim engine configuration. Please confirm the accuracy of the included equipment by calling us prior to purchase. Now’s the perfect time to value your trade-in and step up to a quality pre-owned vehicle from Butte's Mile High Kia. Our Butte, MT used auto dealership features an extensive inventory of cars, trucks, and SUVs to fit your lifestyle. Discover deals on pre-owned models from the brands you trust. 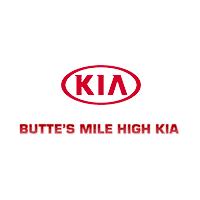 Stop by Butte’s Mile High Kia today to take a test drive with one of our friendly auto sales team members. After you have found the pre-owned model to fit your lifestyle, let the Butte, MT auto financing center at Butte's Mile High Kia pair you with the auto financing option that fits your budget. From Kia lease options to flexible auto loans, we offer a variety of options to help save drivers money. To learn more about our auto financing options and current auto specials, call us today! At Butte's Mile High Kia, we believe the safest vehicle on the road is one performing at its best. That’s why our Butte, MT auto service center offers a wide variety of auto repairs to maintain the performance of your vehicle. Whether you’re in need of an oil change, or extensive engine work, trust the experienced auto service technicians at Butte's Mile High Kia to keep you and your family safe on the road. Schedule your next appointment with us today by utilizing our online scheduling tool now.